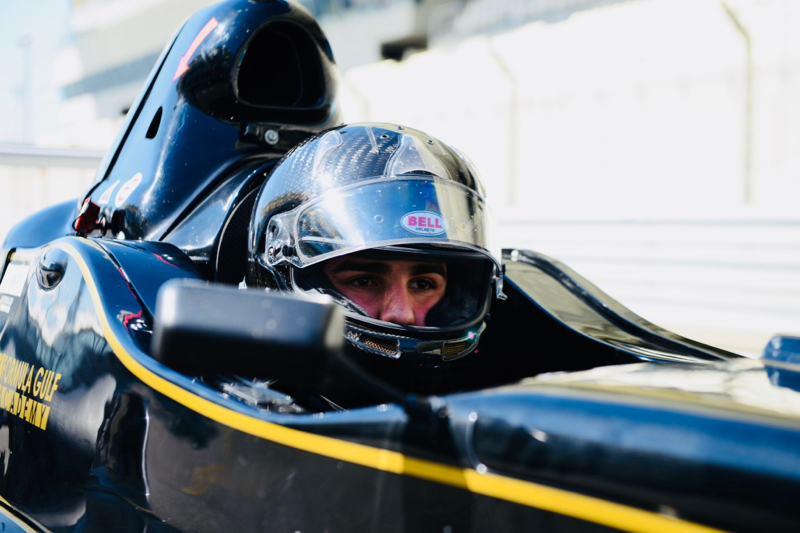 Held at the billion dollar facility built on Yas Island specifically to host Abu Dhabi’s Formula One World Championship Grand Prix events, Rounds 3 & 4 were dominated by one of Thailand’s most promising young racing drivers, Kane Shepherd. Kane, who is also contesting the SEA F4 championship was back in the UAE to gain valuable coaching from Formula Gulf Academy’s senior driver coach Andy Pardoe ahead of his final F4 event next weekend. Said Kane "Good race weekend for me in Abu Dhabi, with pole position and wins in both races. Car running well in cool air and felt good to drive. Races were quite straightforward, although lost a very large lead when the safety car was called out in race 2, but managed to pull out a bit again for the last two laps to win. Thanks to the Gulfsport team for the car preparation, and looking forward to the next race in Dubai, only a week away”. The intense level of training and mentoring that goes on at these events was clear when looking at the lap times of India’s Nabil Zakir Hussain who improved steadily over two days to come away with 3rd and 2nd place trophies. Bahrain sent two of its best young drivers to the academy, the very experienced kart racing brothers Talal and Abdallah Beshara. The older brother Abdullah taking a brilliant second place in his first car race for a year, with 16 year old Talal bagging a 3rd place trophy in the second race. Poland’s Filip Kaminiarz, perhaps the least experienced driver on the grid showed significant improvement over the weekend qualifying 3rd fastest, finishing 4th in race 1 but unfortunately suffering a DNF in race two. Said GulfSport’s Martin Hope, "We were very impressed by all of these young drivers this weekend. They showed great spirit and commitment and clearly learnt a lot. Kane was supreme, hardly breaking into a sweat. We were particularly pleased to see Nabil making such good progress”. Rounds 5 & 6 will take place on 26th and 27th January.